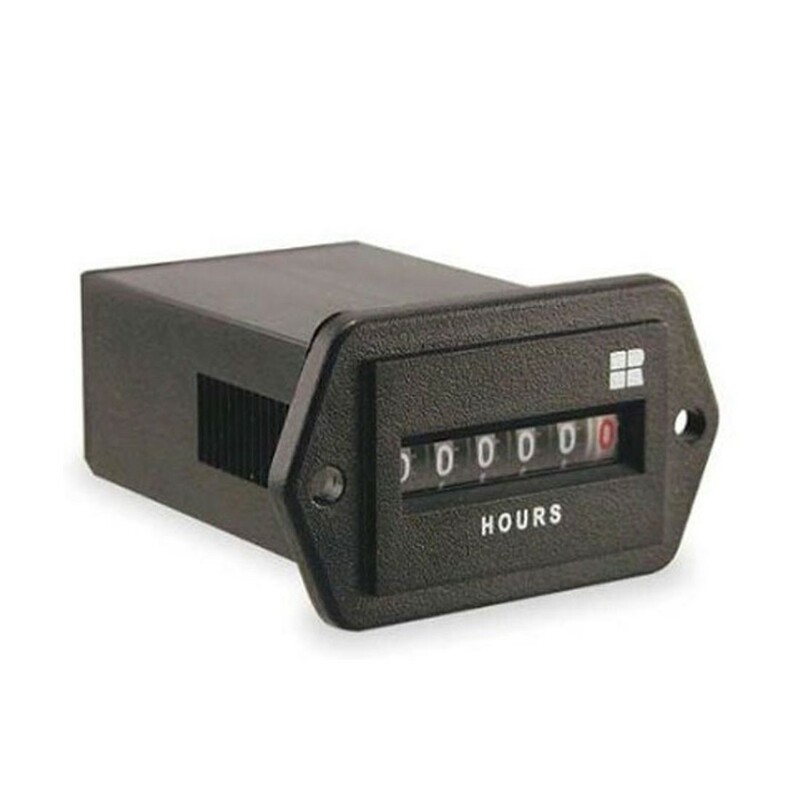 Electromechanical Hour Meter 732 Series provides a DC Hour Meter with an operating range of 10-80VDC. Models are protected for 2 times battery voltage and/or reverse polarity. Models are available in the standard industry housings, 3-Hole Round, Flush-Rectangular, Flush-Round and 2-Hole Rectangular. 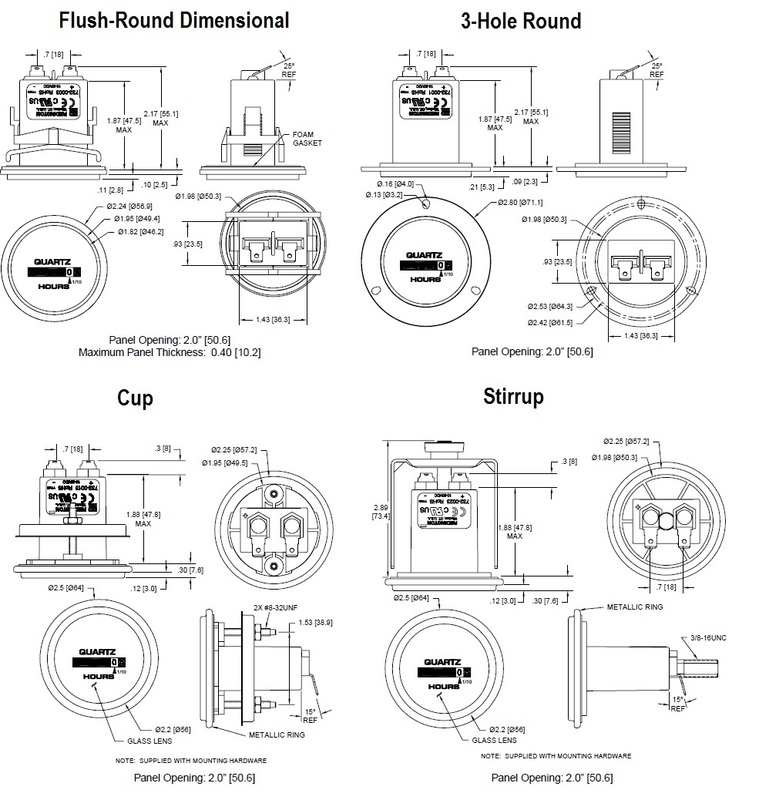 A Stirrup and Cup mount are available for applications where high shock and vibration exist. Its quartz time base insures accurate long-term time keeping. The Totally Sealed case protects against the environment and provides years of reliable service. 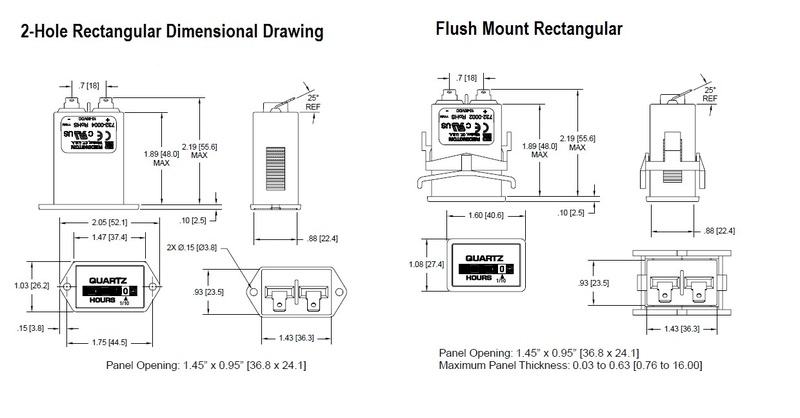 Most models are NEMA 4X, 12 rated when mounted with optional gasket. Available as a flush mount or through with a range of 10-80VDC. Models are protected for 2x battery voltage and or reverse polarity. Features a totally sealed case and are NEMA 4X when mounted with the gasket. 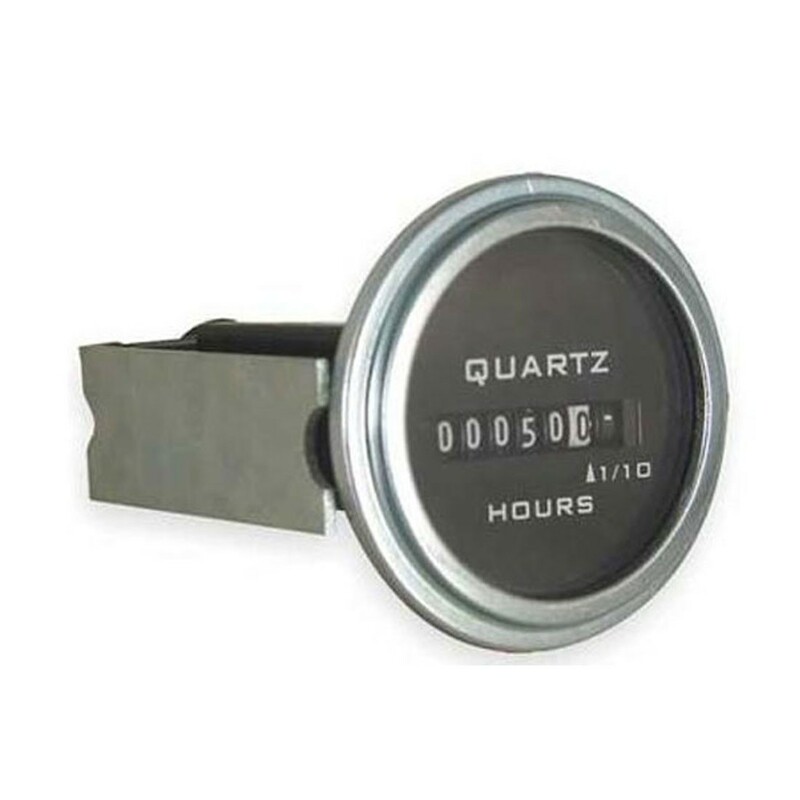 A quartz based time base ensures accuracy over the life of the meter. UL Recognized, CE Compliant, and meet RoHS. 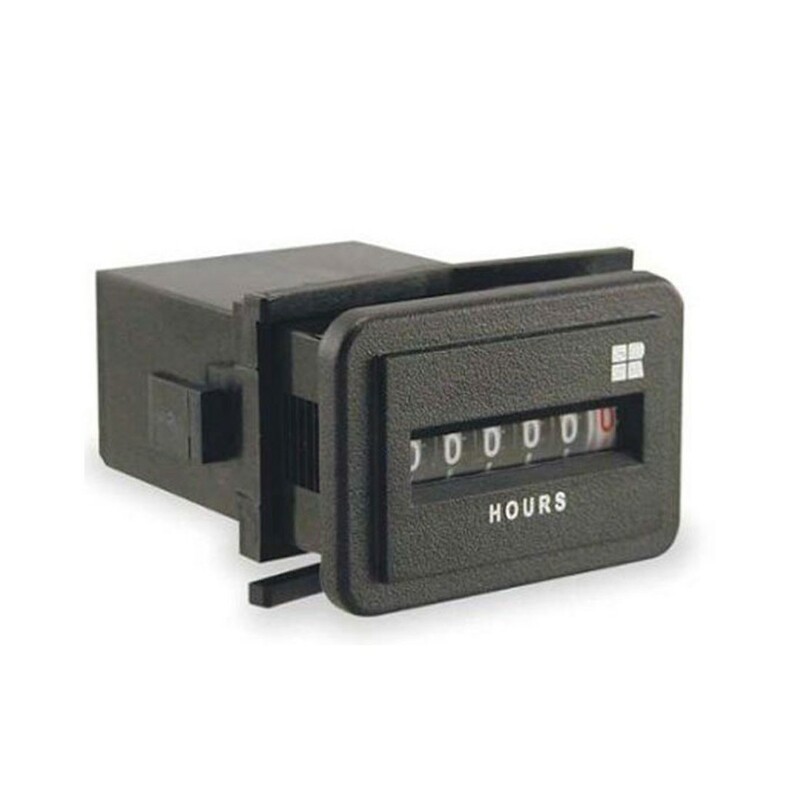 Display: 6 Digit, 0.14" 99999.9. Weight: 2 oz (57 grams). Approvals: UL/cUL Recognized, CE, RoHS Compliant, NEMA 4X.